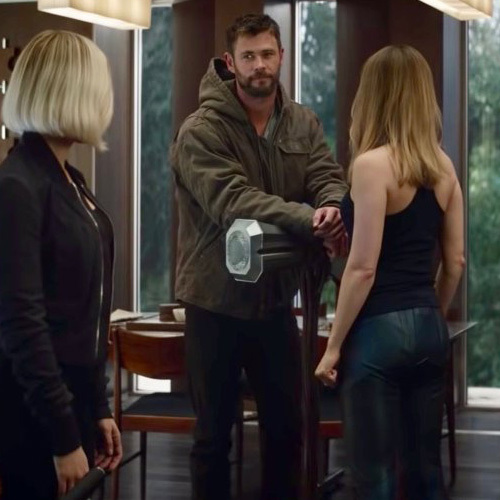 CAPTAIN MARVEL just recently passed a billion dollars worldwide at the box office, so it’s only fitting that she’s prominently featured in the first official clip released from AVENGERS: ENDGAME, the follow up to last year’s AVENGERS: INFINITY WAR. There’s also a bit of a reveal here, as it’s mentioned that he (referring to Thanos) not only still has the stones, but is using them, and it begs the question of what more he might have done in this new film. We expect to see the following in this sequel – Robert Downey Jr. (Tony Stark/Iron Man), Chris Evans (Captain America), Scarlett Johansson (Black Widow), Chris Hemsworth (Thor), Tom Hiddleston (Loki), Evangeline Lilly (Hope Van Dyne), Chadwick Boseman (Black Panther), Elizabeth Olsen (Scarlet Witch), Tom Holland (Spider-Man), Chris Pratt (Star-Lord), Benedict Cumberbatch (Doctor Strange), Mark Ruffalo (Hulk), Zoe Saldana (Gamora), Pom Klementieff (Mantis), Karen Gillan (Nebula), Jeremy Renner (Hawkeye), Josh Brolin (Thanos), Tessa Thompson (Valkyrie), Sebastian Stan (Winter Soldier), Cobie Smulders (Maria Hill), Dave Bautista (Drax), Vin Diesel (Groot), Jon Favreau (Happy Hogan), Bradley Cooper (Rocket Raccoon), Benicio Del Toro (The Collector), Gwyneth Paltrow (Pepper Potts), Paul Bettany (Vision), Danai Gurira (Okoye), Anthony Mackie (Falcon), Don Cheadle (War Machine), Benedict Wong (Wong), Brie Larson (Captain Marvel), Paul Rudd (Ant-Man), and Jeremy Renner (Hawkeye)… though who knows at this point, there may be all sorts of new heroes on display. The Russo Brothers have kept story details top secret, and the cast hasn’t given up much in interviews. Take a look at the first clip below and tell us your thoughts in the comments. A culmination of 22 interconnected films, the fourth installment of the Avengers saga will draw audiences to witness the turning point of this epic journey. Our beloved heroes will truly understand how fragile this reality is and the sacrifices that must be made to uphold it. Born and raised in Dallas, Mark has been a movie critic since 1994, with reviews featured in print, radio and National TV. In 2001 he started the Entertainment section of the Herorealm website, where he contributed film reviews and celebrity interviews until 2004. 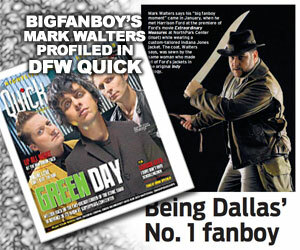 After three years of service there, he started Bigfanboy.com, which has become one of the Dallas film community's leading information websites. Bigfanboy hosts several movie screenings in the Texas area, and works closely with film and TV studios and promotional partners to host exciting events and contests. The site also features a variety of rare celebrity and filmmaker interviews, and Bigfanboy.com regularly covers the film festival circuit as well. In addition to Hollywood reporting, Mark has worked for many years as an advertising and sci-fi/comic book artist. Clients have included Lucasfilm Ltd., Topps Trading Cards, The Dallas Mavericks and The Dallas Stars. 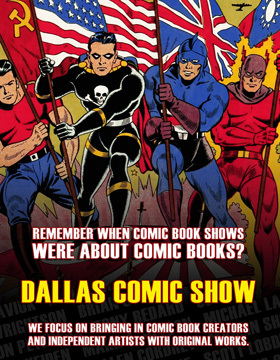 From 2002 until 2015 he managed the Dallas Comic Con, Sci-Fi Expo and Fan Days events in the DFW area. He currently catalogs rare comic books and movie memorabilia for Heritage Auctions, and runs the Dallas Comic Show conventions, but remains an avid moviegoer and cinema buff. DFW QUICK honors Bigfanboy.com’s Mark W.
Looking for the latest home video releases? Copyright 2004 to Present - BigFanBoy.com. All Rights Reserved.